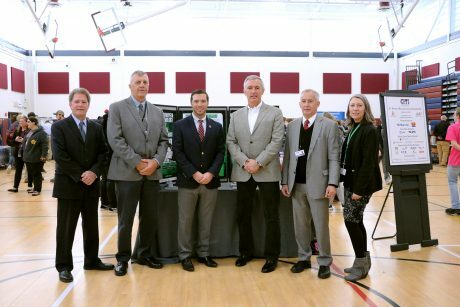 From left, CiTi Business Education Liaison Garrette J. Weiss, Oswego County Legislator Bradley Trudell, R-Mexico, Oswego City Mayor William J. Barlow, Congressman John Katko, Oswego County P-TECH Workforce Liaison William Lynch and Oswego County P-TECH Liaison Amber Preston. MEXICO – The Center for Instruction, Technology and Innovation hosted a celebration of Manufacturing Day on Friday (Oct. 5). 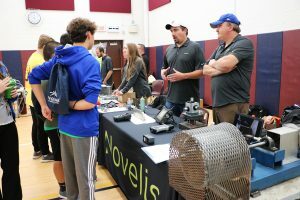 Taking part were several Oswego County manufacturers such as Novelis, Huhtamaki, Sunoco, Davis-Standard, Fulton Companies, Universal Metal Works, Kenwell, Ralph W. Earl, Swage-Lok, IBEW, Women in Engineering, Majestik Mold and the Department of Labor. The event was geared for junior and high school students. 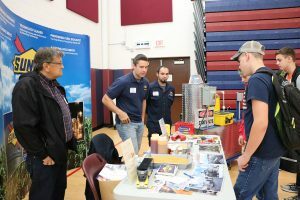 The skilled manufacturers and tradespeople provided demonstrations and information on what today’s manufacturing world really looks like as well as career opportunities in the field. 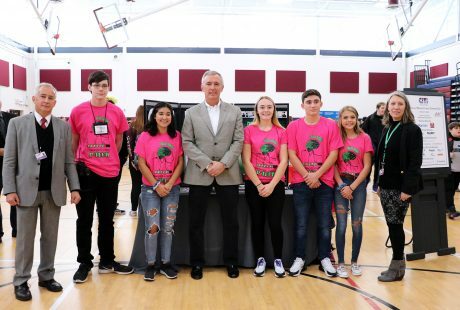 From left, Oswego County P-TECH Workforce Liaison William Lynch, students Andrew Blodgett, Fabiana Suarez, Congressman John Katko, students Olivia Pappa, Grant Williams, Madelyn Palmer and Oswego County P-TECH Liaison Amber Preston.